Tinctures have been used for thousands of years in traditional or “folk” medicine to extract the healing properties of plants. Today, people are still discovering their many benefits. We’re glad you asked. Tinctures are a form of edible liquid that contains the extract of a plant. In herbal medicine tinctures are administered as a remedy or supplement for the body. The most common way to make a tincture is with a high proof alcohol like Everclear, Brandy or Vodka. The alcohol both extracts the plant’s properties and acts as a preservative. A “simple” tincture is just one plant and is often made in a ratio of one part alcohol to two parts fresh plant material or five parts dried plant material. To make a simple tincture, one simply takes a clean glass jar and packs the plant of choice into the jar as tight as it will fit. The part of the plant used to make a tincture depends on the plant. Some plants require leaves, stems and flowers, others call for bark, roots or branches. It’s important to be mindful of harvesting or “wild crafting” methods so one does not harvest plant parts in an unsustainable way for the plant’s life or its ecosystem. When you place the plant parts in the jar, you usually want as much surface area of the plant exposed as possible. When the jar is packed, pour a high proof alcohol over the plant parts until all the plant matter is covered. It is best to use a jar that just fits the plant material so there is no extra air at the top of the jar. Label the jar with the name of the herb, where the plant came from, the date it was made, and the ratio and type of alcohol used. Put a tight lid on the jar and let it sit in a dark place for at least two weeks. Then, strain the plant material away from the alcohol and water down some if needed. Be sure to keep the alcohol amount above 40 percent so that the tincture does not spoil. Now you can store your tincture in a clean brown glass jar — make sure it gets labeled properly. Simple tinctures can later be mixed together to form compound tinctures or a customized blend for a particular need. Often times the plants used in herbal medicine are the ones that grow closest to you. In Central Texas, we have a whole host of medicinal herbs growing wild in our hills. Medicinal plants often times have many different uses, and it takes time to understand a plant fully. It is said that a skilled herbalist needs to only know ten local plants to tend most all ailments. Get a crash course in tinctures! 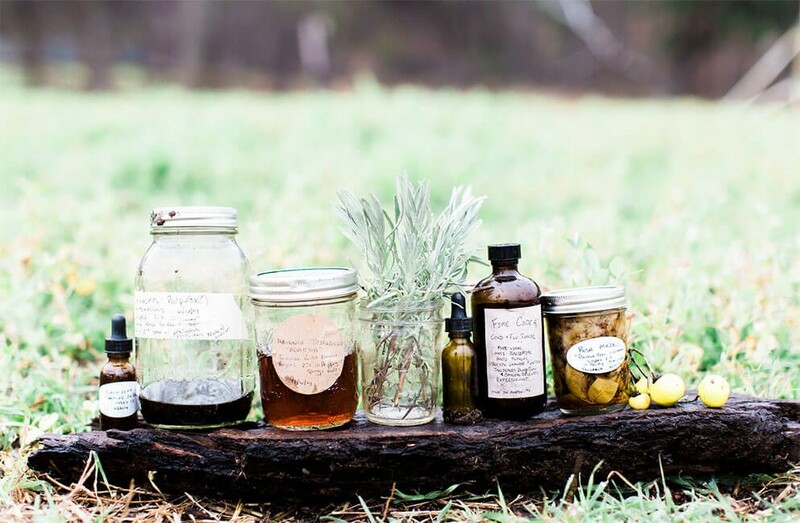 Starting this month, Travaasa will offer a tincture making class with our herbalist and farm manager, Kim Grabosky. Learn about both garden medicinals you can cultivate at home and hill country medicine, sample a variety of tinctures and interact with the plants growing at the farm. You’ll also have an opportunity to make your own tincture and take home a medicinal.